We’d love your help. Let us know what’s wrong with this preview of Untying the Moon by Ellen Malphrus. Bailey Martin is in perpetual motion—a child of the South Carolina lowcountry tides, being pulled to and from a reckoning with destiny. A marine biologist by training and an artist by dedication and talent, Bailey is a woman of contradictions, at once a free-spirited adventurer giving deeply of herself to environmental causes and familial loyalties but also consumed by pri Bailey Martin is in perpetual motion—a child of the South Carolina lowcountry tides, being pulled to and from a reckoning with destiny. A marine biologist by training and an artist by dedication and talent, Bailey is a woman of contradictions, at once a free-spirited adventurer giving deeply of herself to environmental causes and familial loyalties but also consumed by primal, isolating appetites and dangerous attractions. Restless and troubled, Bailey chafes at her existence, becoming uneasy in her success, her life, and her own skin. 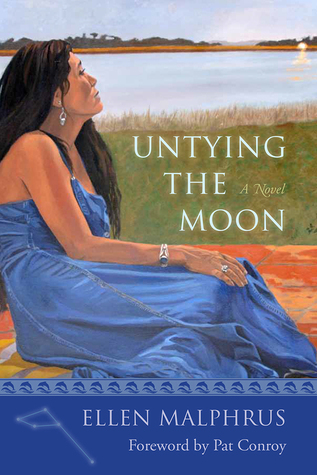 Untying the Moon, the debut novel from Southern storyteller Ellen Malphrus, is a vibrant tale of self-discovery, approaching the realms of myth and lore as readers ride shotgun with Bailey in Blue Ruby, her '67 Skylark convertible, from Manhattan down the eastern seaboard, from coastal Carolina to the Alaskan wilderness and back again, all in search of the embrace of love and—finally—of home. To ask other readers questions about Untying the Moon, please sign up. I received this book as part of a Goodreads First reads promotion. Untying the Moon by Ellen Malphrus is about Bailey Martin, a woman who journeys to find herself, find peace, find a home within her heart. The book follows her physical journey from Manhattan to Alaska to South Carolina and her emotional journey to inner peace. Read this book, you will be glad you did! Dr. Malphrus has managed to write her novel with a beautiful vocabulary and flow that I would expect from poetry. Though it is difficult to capture the breathtaking natural scapes of the lowcountry, she painted an image with her writing that comes closer than I thought was possible. I highly recommend, especially if you are from or appreciate the region highlighted in the book. Poetry in prose; an outstanding first novel. This is a regional jewel with universal themes. The author Ellen Malphrus has beautifully written the story of one woman’s journey towards self-acceptance and home. Bailey Martin, a woman in her 30s, is a child of the lowcountry in South Carolina. By nature, she has a wanderlust spirit, born of the tides of her homeland. Being in constant motion prevents her from understanding and embracing her authentic identity. Following the death of her mother three years earlier, some of whose own experiences the author uses to highlight Bailey’s transit The author Ellen Malphrus has beautifully written the story of one woman’s journey towards self-acceptance and home. Bailey Martin, a woman in her 30s, is a child of the lowcountry in South Carolina. By nature, she has a wanderlust spirit, born of the tides of her homeland. Being in constant motion prevents her from understanding and embracing her authentic identity. Following the death of her mother three years earlier, some of whose own experiences the author uses to highlight Bailey’s transitions, Bailey finds herself estranged from her father, and more adrift than ever before. However, she stays connected to the “home folks,” which include her childhood friend, Ben Simmons, now a Philadelphia doctor, and his parents, George and Retta, who remain living in their hometown. Bailey is an environmentalist and artist by nature, upbringing, education, and experience. These passions lead her across the United States, from up and down the east coast, all the way to Alaska, the home of her maternal ancestors. Natural and manmade disasters of the late 1980s when the story is set, such as the Exxon Valdez oil spill and Hurricane Hugo, influence her changing perception of the world and her place in it. When Bailey finally attempts to settle down, it is because she has fallen in love with the troubled Padgett Turner, a Vietnam veteran. The relationship with Padgett is the unexpected catalyst for Bailey to ultimately discover her true home and self. The author uses highly artistic language and construction to tell this quietly compelling tale. Her descriptions of places, nature, and the environment are very vivid and enhance the reader’s understanding of the characters, especially Bailey. This is a novel to be savored. lyrical, haunting, and engrossing. full review later. The book is more of a character study and thus has little actual plot, though if I had to pin it down I'd say that the novel follows Bailey Martin through a few years of her life as she comes to grip with the death of her mother and reconciles her wandering spirit with romance and the needs of those who love her. I will say that the plot takes a turn in the last third that I was not expecting. This turn doesn't come out of nowhere, but it chang lyrical, haunting, and engrossing. full review later. I will say that the plot takes a turn in the last third that I was not expecting. This turn doesn't come out of nowhere, but it changed what I thought the novel was trying to say. I'm honestly still deciding if I liked that turn or not. However, the novel is strong enough and not plot driven, that my quibbles with a plot turn don't change the fact that this is one of the better books I've read this year. Honestly, if you're at all drawn to language and the skill of a writer in putting pen to page you should absolutely read the book. The prose is simply gorgeous. It is this prose that kept me enthralled for hours, and Malphrus's skill in capturing a moment or an idea is enviable. WHAT a book. This left me thinking and thinking...and I just cannot accept the ending. The first part of this story follows a delicious road trip with Bailey Martin as she drives up and down the east coast. Bailey eats and adventures and one can visualize this experience--gorgeous and scrumptious, if not plainly escaping something of which we are not aware. The story gets layered and we see how complicated a creature Bailey is--with wonderfully supportive and supporting characters thro WHAT a book. This left me thinking and thinking...and I just cannot accept the ending. The story gets layered and we see how complicated a creature Bailey is--with wonderfully supportive and supporting characters throughout. I want to reread the book in order to catch what I missed. I was busy reading each delicious detail and I am certain I missed clues and suggestions. Bailey is a lovely character, which makes this an easy book to read and get into quickly. I have long believed that poets make good novelists: they pay attention to nuances of language; they attend to form and order; they are attuned to the senses. In Untying the Moon, Dr. Ellen Malphrus proves this to be the case. The language is powerful as she offers up the story of Bailey Martin, her main character. Malphrus beautifully draws a childhood spent on a river and realistically presents the friendships forged on the water. As a symbol, the water appropriately represents the hidden depth I have long believed that poets make good novelists: they pay attention to nuances of language; they attend to form and order; they are attuned to the senses. In Untying the Moon, Dr. Ellen Malphrus proves this to be the case. The language is powerful as she offers up the story of Bailey Martin, her main character. Malphrus beautifully draws a childhood spent on a river and realistically presents the friendships forged on the water. As a symbol, the water appropriately represents the hidden depths, the deep darkness that is hidden under the seemingly benign surface. As Bailey struggles with her relationships and her life path, the reader is caught up in the current of the novel. What a delight! The visual imagery is sprinkled with kernels of wisdom, bits of poetry, references to musical icons and the promise of better things. As you follow the main character through interactions with nature, memories and assorted individuals, you feel her sense of wonderment as well as glimpses into her past, woven through accounts gleaned from authors she loves. Reading this will cause you to momentarily pause in your daily pursuits I received this through the Goodreads Giveaway program. Reading this will cause you to momentarily pause in your daily pursuits and question where you want to be. What an interesting novel. The language and imagery are amazing. The story starts out capturing your interest with Bailey's unique story, her wandering spirit, and zest for life, and then continues with a twisting plot interwoven with more interesting characters, and a celebration of nature and the low country of South Carolina. A lot of themes in this book -- maybe too many and too much going on. This was such a beautiful book and so well written. I usually hate books that have very little action, but I never felt bored from the book. It is slow paced and not a lot of plot actually happens, but it feels so real. I loved it. Untying the Moon is a book to be savored. The language is concise and lyrical. The characters are complex and believable. The descriptions of food and locations make you want to jump in the car for a road trip. I would recommend this book to everyone. This is a slow book, and I mean that in the best sense of the word. 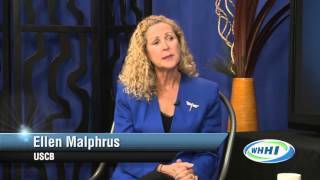 Malphrus is a poet, as well as a novelist, and her prose is worth lingering over. This novel is filled with a love of the land, but it's also a romance, an all-across-the-U.S. road novel, and a mother-daughter story. A "must read" for anyone that loves traveling, coastal settings, and the sensory delights of regional foods. 'Loved the poetic writing as well as the story because it was always moving. Characters are well developed. Great read. Amazing! I hope she writes more books. I really wanted to like this book. However, the first chapter was rough to get through, and while the book got marginally better, it never really impressed me. A story of a wandering soul trying to settle down with a man, with messages of what love isn’t and where love is needed (towards the earth). I felt like it was a tell not show book where a lot happened but it felt like nothing. However, I did like the main character Bailey and the character Retta. Wish I was able to have more positive thi I really wanted to like this book. However, the first chapter was rough to get through, and while the book got marginally better, it never really impressed me. I loved this book. She does the best job of evoking the low country of South Carolina that I have read since Pat Conroy's Prince of Tides, and she may even have done it better than Conroy! Add a complex young woman as a main character with wanderlust as profound as that of Aeneas, and you have a very thought-provoking and satisfying reading experience. Ellen Malphrus lives and writes beside the May River in her native South Carolina Lowcountry and beneath the Madison Mountains in western Montana. She studied under esteemed poet and author of Deliverance, James Dickey, who was her mentor and Graduate Director for the MFA she earned at the University of South Carolina. Malphrus’ fiction, poetry, and essays have appeared in a variety of publications Ellen Malphrus lives and writes beside the May River in her native South Carolina Lowcountry and beneath the Madison Mountains in western Montana. She studied under esteemed poet and author of Deliverance, James Dickey, who was her mentor and Graduate Director for the MFA she earned at the University of South Carolina. Malphrus’ fiction, poetry, and essays have appeared in a variety of publications including Southern Literary Journal, Review of Contemporary Fiction, William & Mary Review, Haight Ashbury Review, Georgia Poetry Review, the anthology Essence of Beaufort and the Lowcountry, and the anthology Literature: Reading and Writing with Critical Strategies. Since earning her Ph.D. in Twentieth Century American Literature with an emphasis in Southern Literature, Malphrus has taught literature and creative writing at USC Beaufort. She is most at home in nature, and her concern for wild places and creatures, particularly when it comes to coastal conservation, is evident in the fabric of her writing. A proud and unrepentant Luddite, Malphrus merrily eschews electricity and running water at her Montana cabin and counts herself fortunate that her husband is of the same mindset. Their grown daughter and three rescue dogs, however, are quite content with creature comforts and remain behind in South Carolina. “There’s no way around August. In the sweltering dog days of summer in the deep South mornings haze with humidity that doesn’t end with the coming of dark. Cuts don’t heal. Grudges fester. Mold grows on damp sheets and dogs don’t bother to come out from under the house and bark. What would be the point? In more cultivated times people closed the shutters midday and sallied forth when the worst was over. The river is a different story.